Citing recent data, the Insurance Bureau of Canada (IBC) said that a winter storm event that affected parts of Eastern Canada earlier this year led to millions of dollars in damages. 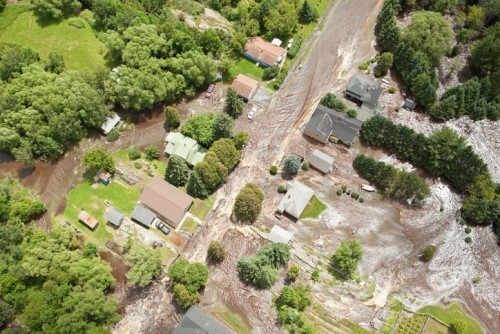 According to Catastrophe Indices and Quantification (CatIQ), the storm – which hit portions of Ontario, Quebec, New Brunswick, Prince Edward Island, Nova Scotia, and Newfoundland and Labrador – resulted in over $54 million in insured damage. Of the $54 million in insured damages, about $33 million was reported in Quebec and more than $12 million in Ontario. The remainder represents the total damage of the four Atlantic provinces. A low pressure system brought high temperatures and heavy rains to several areas in Eastern Canada from January 11-14, 2018. Around this time, melting snow, ice jams, and rainfall caused flooding in some regions. “Climate change is causing severe weather events to happen more frequently and with greater intensity, especially storms involving floods. While the insured damage from these floods is significant, the total economic cost to homeowners and government is not yet known,” said IBC vice-president of federal affairs Craig Stewart.